Seiko marks the 50th anniversary of its first dive watch with the Marinemaster Professional 1000 m Hi-Beat 36000 Limited Edition, in hard-coated titanium with high frequency movement – making it the brand’s first hi-beat dive watch in nearly 50 years. 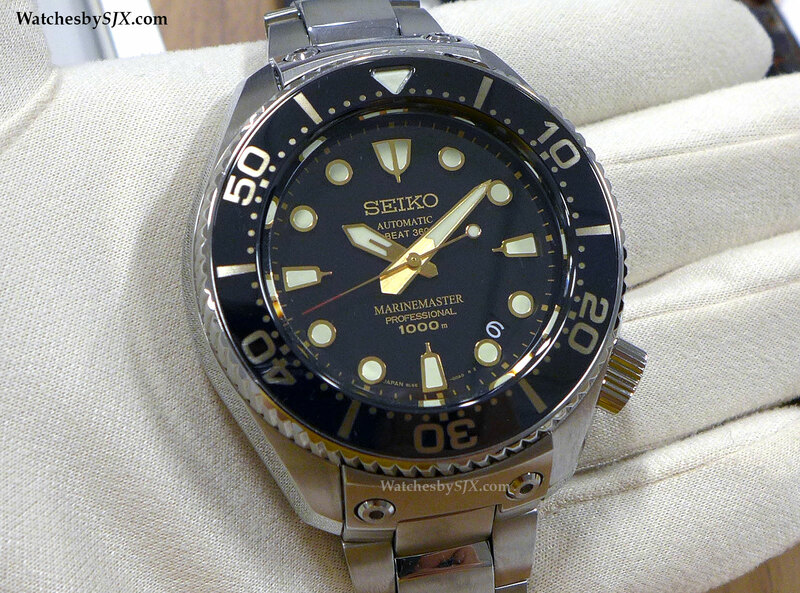 Taking some of its cues from Seiko‘s first high frequency dive watch of 1968, the Marinemaster 1000 m Hi-Beat Limited Edition (SBEX001) is a blend of vintage and modern design elements. 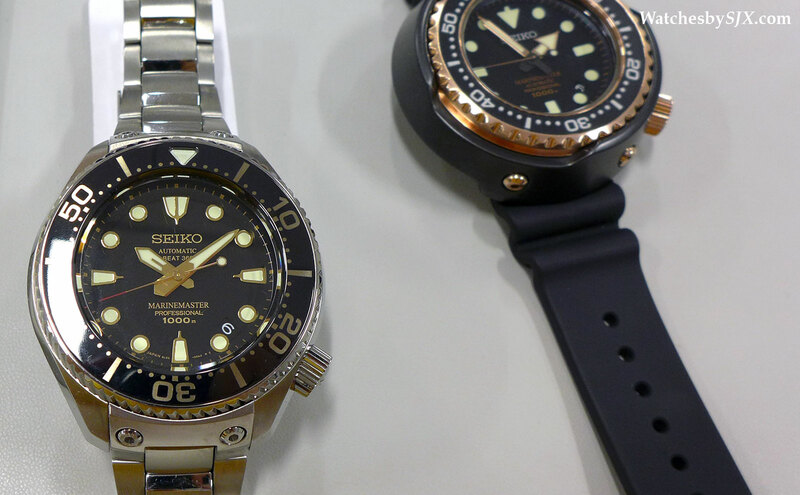 Just introduced at Baselworld 2015, this is the flagship commemorative watch for the 50th anniversary of the Seiko diver’s watch and is the highest spec Prospex dive watch, with features and pricing comparable to the Grand Seiko diver. 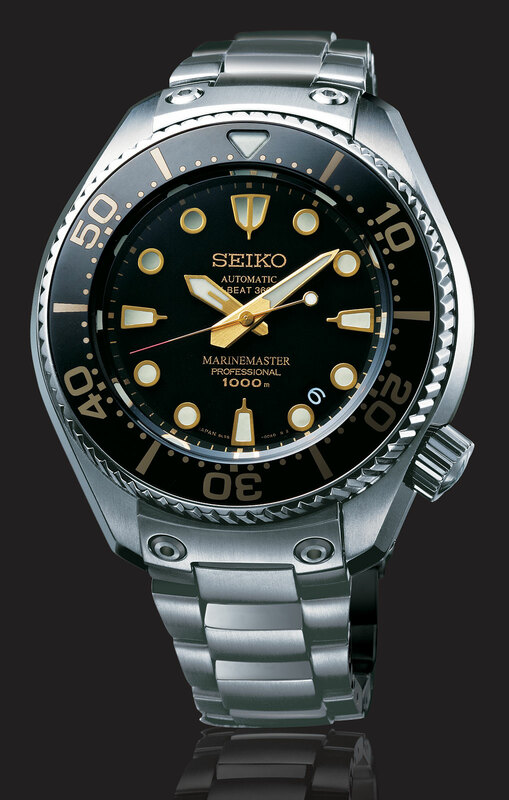 The black gilt dial is inspired by the 1968 Seiko 300 m Hi-Beat dive watch, but the case shape and size is distinctly new. The case is monocoque, made of one piece of titanium with no case back. It’s rated to 1000 m and is magnetism resistant to 16,000 A/m. And the crystal is sapphire, with an anti-fog coating. 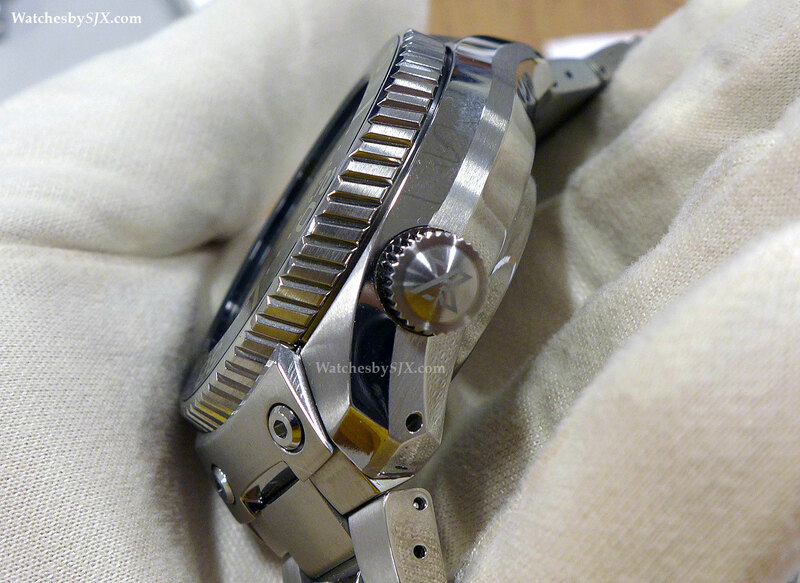 A hard coating is applied to the case as well as titanium bracelet, making it scratch resistant. Because titanium is lightweight, the watch does not feel chunky, although it is large, measuring 48.2 mm in diameter and standing 19.7 mm high. An unusual feature is the bolted on bracelet, secured by two screws on each end. 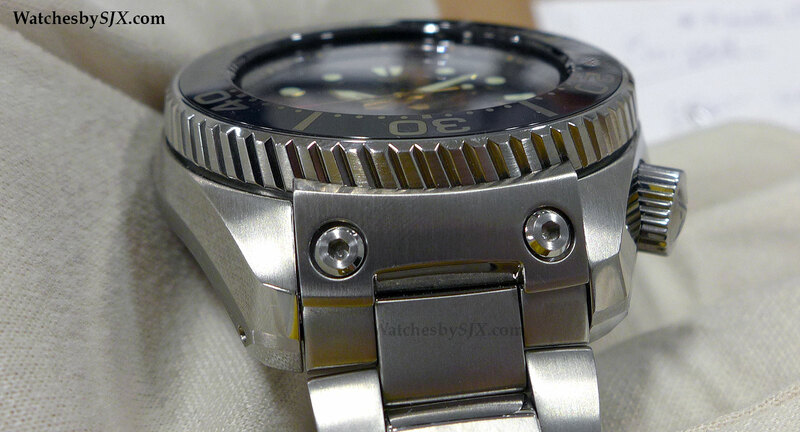 The screwed on end links serve to secure not just the bracelet, but also the bezel. 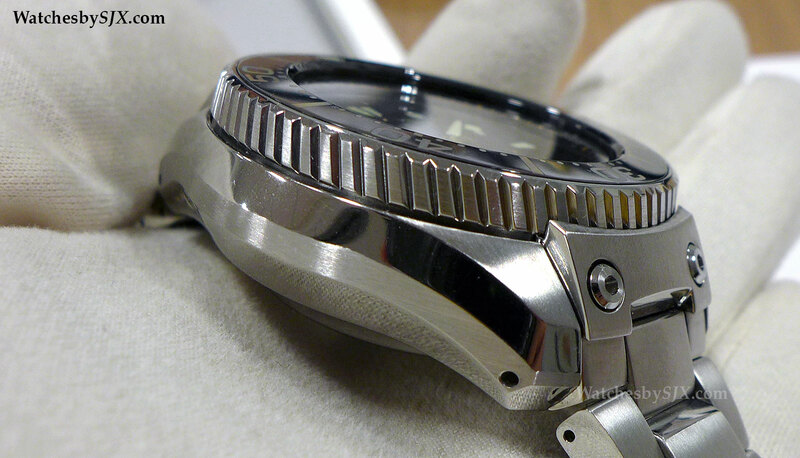 A serrated edge on the bezel side improves grip. The movement inside is the first and only high beat calibre used in a watch that is not a Grand Seiko, making this Seiko’s first high frequency dive watch in nearly 50 years. Running at 36,000 beats per hour (bph), the calibre 8L55 movement inside is derived from the high beat Grand Seiko movements, but with less refined finishing and details. 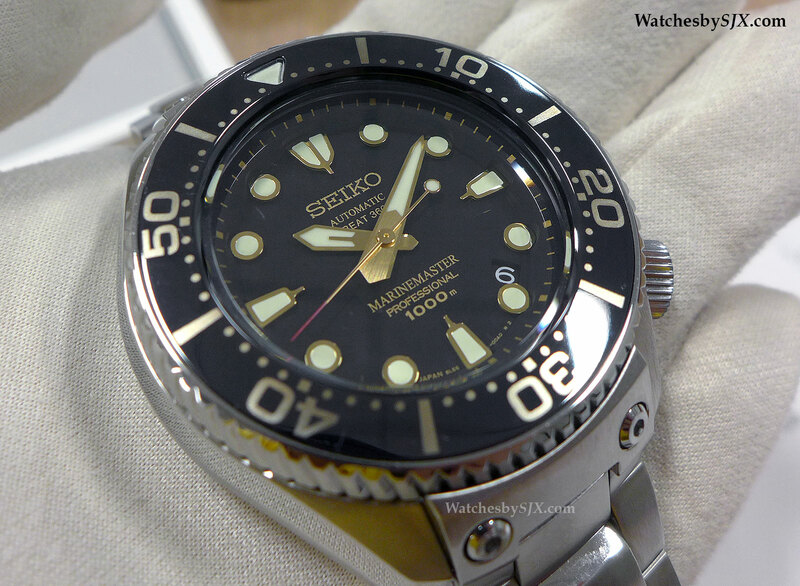 Like the high beat Grand Seiko movements this is aassmelbed by hand at the Shizukuishi Watch Studio in Morioka. The power reserve is 55 hours. 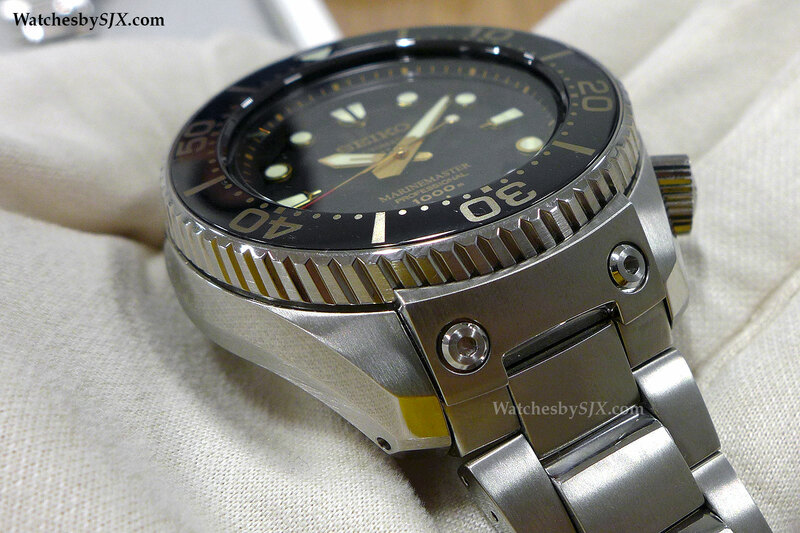 The bracelet is titanium with a ratcheting extension clasp like that found on the Marinemaster SBDX001. This will be available internationally in a limited edition of 700, with a retail price of €6400. That’s equivalent to about US$6800.